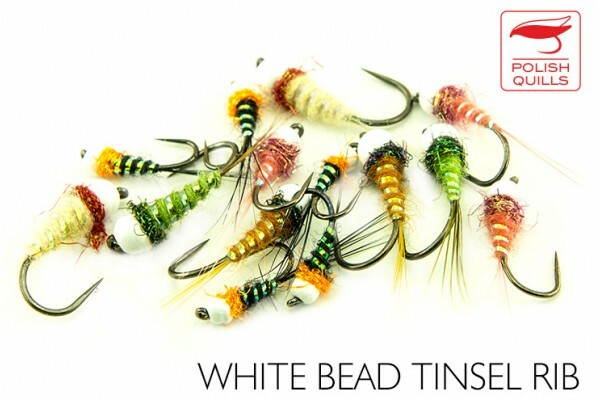 Tungsten nymphs with a white bead. Never picked up after being ordered by a client. 5 colors - black, white, pink, ginger and green. As some colours and sizes are already gone (and we don't plan to tie them again) we will pack them random, unless you precise your choice.